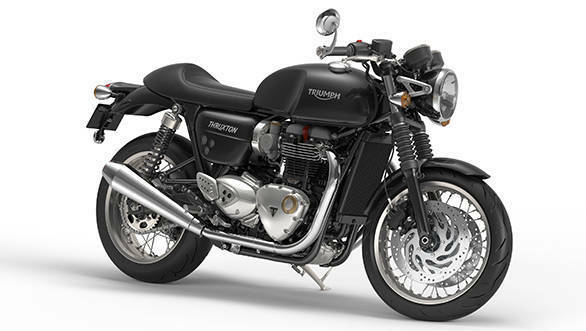 The new Triumph Thruxton continues to head the Bonneville range. 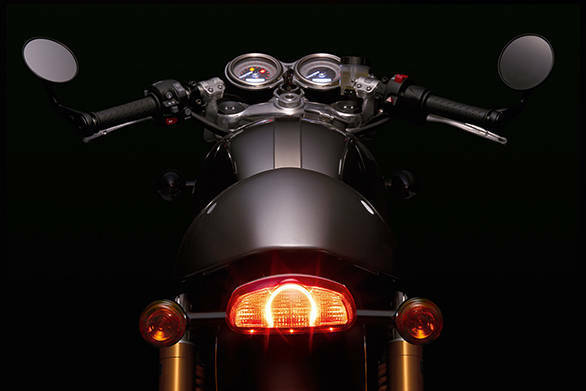 It wears the new 1200cc engine, but it is in a higher state of tune. 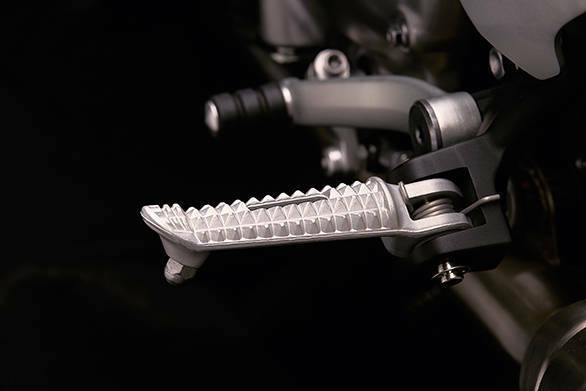 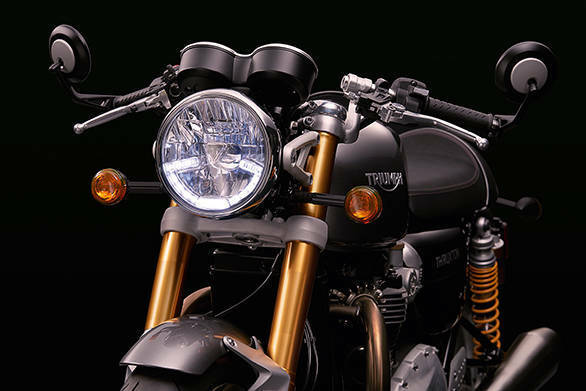 As we noted earlier, Triumph refused to discuss the details of dimension and specification but was more than happy to highlight the torque figures. 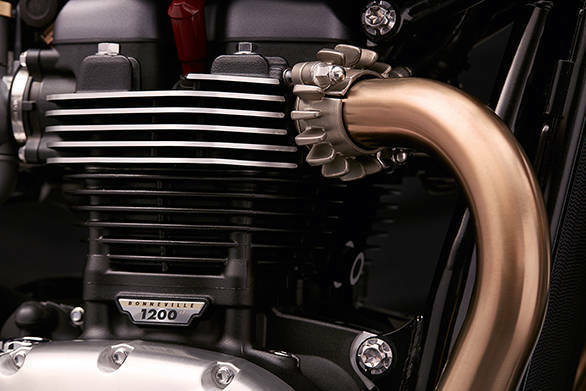 The 1200 in the HP (High Power) state of tune makes 112Nm at 4,950rpm, which compares very well to the outgoing Bonneville to be sure. 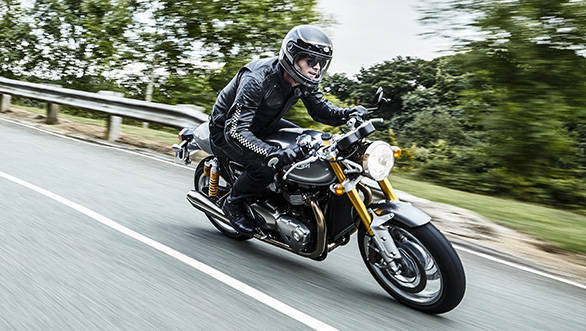 More importantly, the near-5,000rpm, peak torque point suggests that the peak power will likely be in the 7-8,000rpm region and that the Thruxton's engine will rev significantly higher than the other two engines. 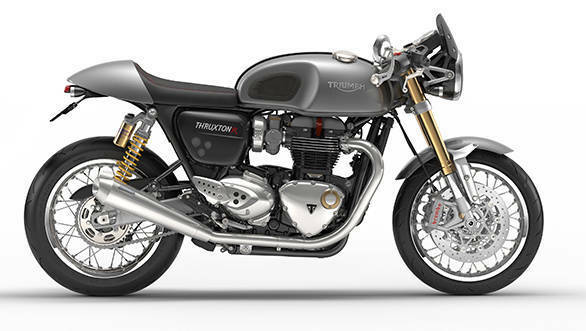 Like the other Bonnevilles, the Street Twin and the T120, the Triumph Thruxton also gets the new 6-speed gearbox. 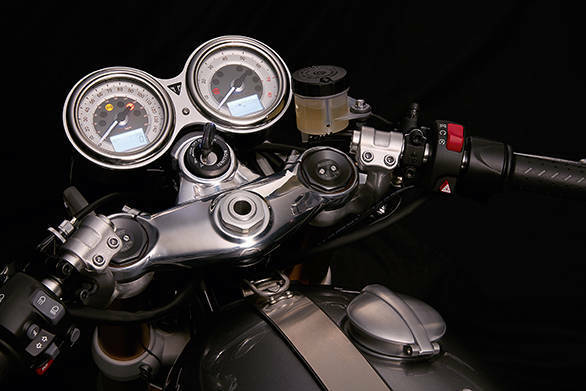 Also shared are the electronics. 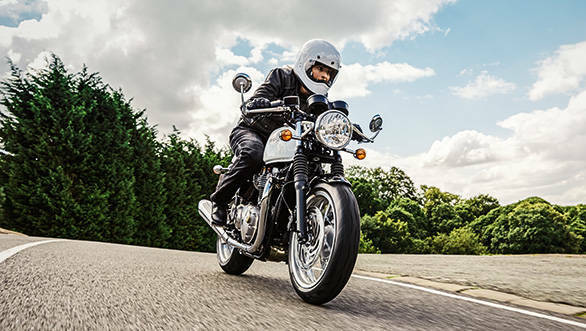 The Triumph Thruxton is ride-by-wire, ABS is standard and it has traction control. 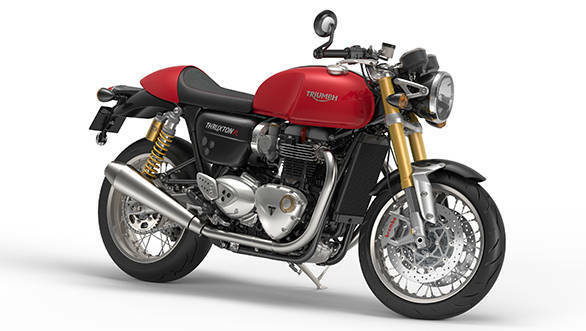 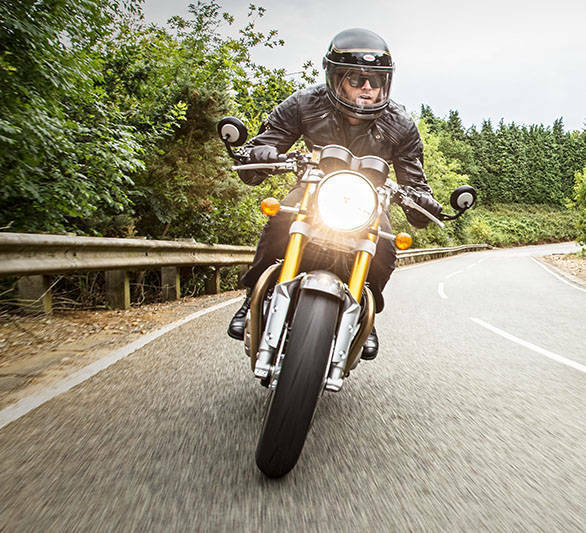 The Thruxton spec adds a third Sport mode to the Rain and Road modes. 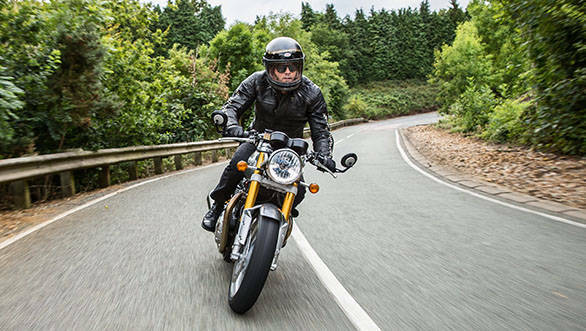 Triumph says all modes offer full power and the ECU only changes how rapidly the twin throttle bodies react to the rider's throttle inputs. 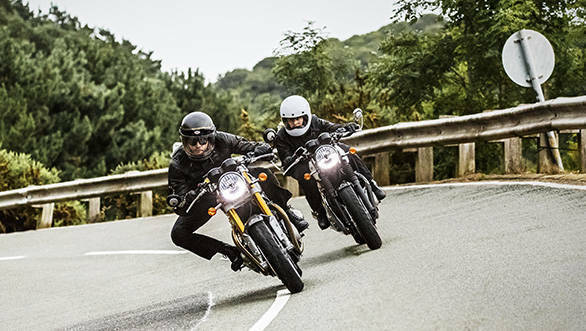 The new 1200 HP (high power) motor makes an unspecified amount of power but it's higher torque peak (in quantity and revs 112Nm) suggests a significantly higher redline. 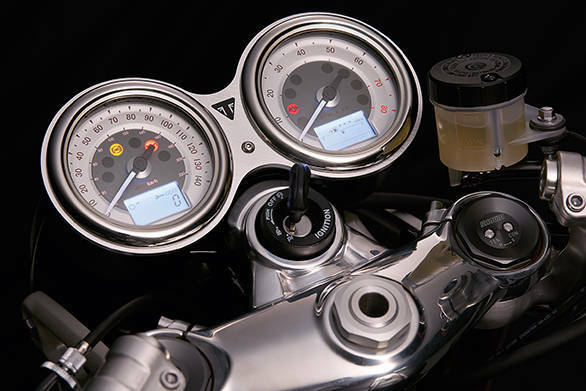 Should be fun to ride! 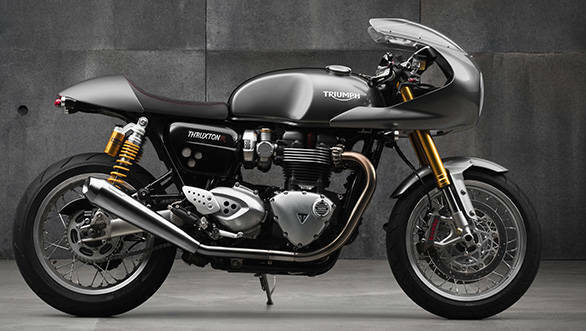 Wonderful to look at, the new Triumph Thruxton R model takes the specification significantly forward. 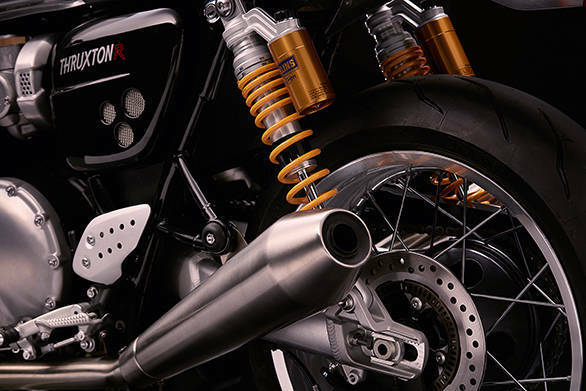 Up front are new Showa upside down forks with full adjustability, while at the rear is a set of fully adjustable Ohlins shocks. 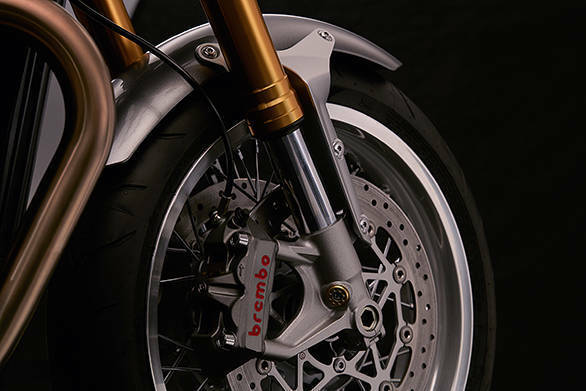 The front brakes are Brembo's impressive looking Monoblocs, radially mounted. 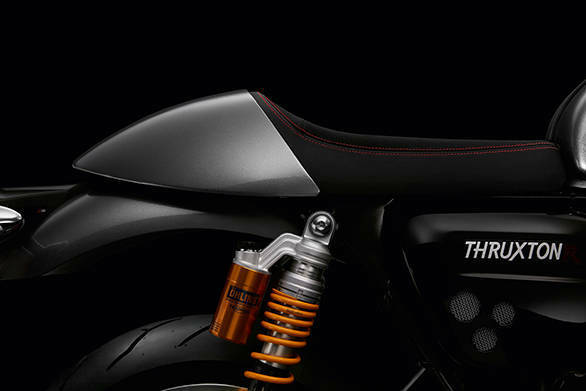 Wrapping this up is a 17-inch front wheel that wears Pirelli's excellent Diablo Rosso Corsa tyres.